Its really after a long time that I am participating in a challenge. 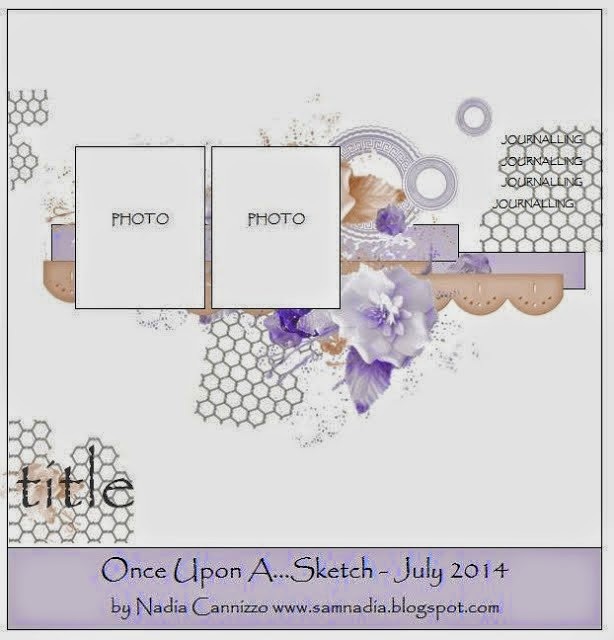 I love the beautiful Layout at Once Upon a Sketch and the DT's work is so inspiring. I think its a great place to learn from many talented crafters across the world! Here is my entry based on the July Sketch. I took the whole sketch in a vertical fashion instead. 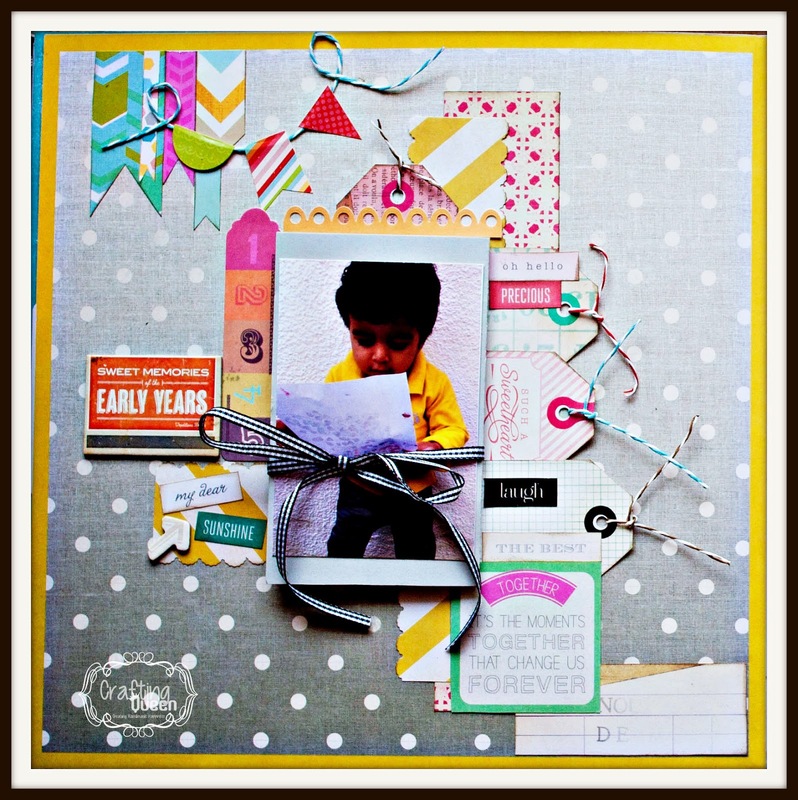 This Layout is a part of Baby Boy Scrapbook I have completed recently on commission. I loved how it turned out. It has a accordion style folding photo mot opportunity hence its limited to just one picture. on bottom right corner is the journaling space for the Mommy. The Paper is from America Craft Flea Market Paper Collection. even the Tags have been fussy cut out from one of the pages. I just added some embellishments made out of scrap pieces of paper and Tim Holtz Paper String. Such a pretty layout and I love the layering. Fun colours too. Thanks for playing along with us at OUAS this month.